Dr. Yang delves deeper into his Qigong theory and explains keypoints for correct and efficient Qigong practice, and details the methods of Qigong breathing. The Chinese practice of Qigong, which is the study of Qi in the human body, has been developed through the observation of natural human behavior. For centuries, Qigong practitioners have advanced and documented their practice, and have passed down comprehensive instructions. This theory deserves careful study and deep understanding to be assimilated into your own Qigong practice, in order to make it more efficient and effective. In Understanding Qigong DVD 2, renowned Qigong (chi kung) expert and author Dr. Yang, Jwing-Ming delves deeper into his Qigong theory. 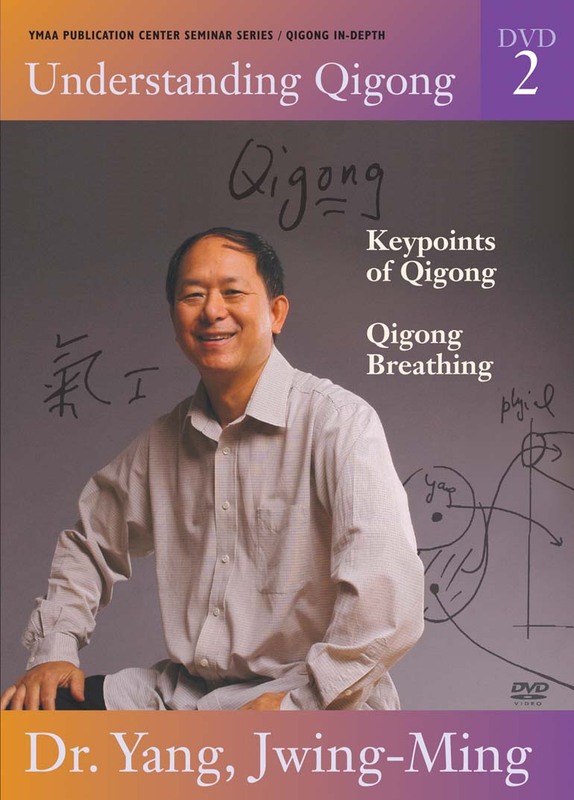 This multi-language DVD contains two more video courses in which Dr. Yang explains keypoints for correct and efficient Qigong practice, and details the methods of Qigong breathing. Dr. Yang's systematic approach to teaching offers deep insight into the ancient art of Qigong with modern scientific data to support his theory from both an Eastern and Western perspective. Drawing on his 35 years of training in Qigong and his Western scientific background as a Physics professor and Ph.D in Mechanical Engineering, Dr. Yang presents a clear and fascinating explanation of his Qigong theory in a home seminar you won't want to miss. This program is a must for Qigong practitioners, acupuncturists, energy healers, and anyone interested in understanding exactly how and why Qigong works. Learn keypoints, such as the ‘Five Regulatings’. Explore the relationship between the thymus gland and the emotions. Understand the healing sounds of ‘Hen’ and ‘Ha’, and learn how they relate to Qigong and Taijiquan. Learn the basic Chinese concept of treating common ailments, specifically the breathing techniques for lung cancer and asthma.